I love Facebook. I get so much from it. Good stuff far beyond the constant yammer of politics and war flying every day from the radio. Shores me up, helps me remember the Chesapeake Bay was once dead and now thrives. Exciting stuff like this fabulous archive of 2500 pigments collected in the first decades of this century by billionaire Forbes, sparked by a damaged old-world painting he wanted restored. COLOR gathered from around the world. That came from things like beetles off a certain cactus, resin from mummies, dried urine from cow’s fed only mango leaves. I love that bright red dragon’s blood really exists. Is found in rattan leaves. Medicine to my artist’s soul that elicits yearning for the list of names and origins. I love that I’ve stayed in the homes of peeps in New Zealand who I first met on fb. That an entire church in far-off Chicago prayed for us when my husband was run down by a car, because a woman saw it in a comment. (I never made a post) Asked if she could add us to their prayer list. I love I connect with those holding opposite political views, or come from diff cultures, meet in the spaces we share as humans – heart, family, fun, pain, desires, passions, works. From fb I learn about other writers and works, add to my knowledge of craft and industry. I love I have a forum to encourage & promote brilliant artists and writers, too. Can see my encouragement blossom into works in the world. That fb gave me conversations for a book I’m writing to help carry creatives through the snarlies and frustrations of life, navigate through stuckness so we stay on our feet, live, work and create at our highest level. Conversations personal and heartfelt about the difficulty creating & expressing stories, thoughts, words in a world that doesn’t understand what it means to have that sort of thing inside you. How you’re challenged with why’s and labels. You’re not a writer, you’re…’. How this solitary pursuit can look selfish when other people want/need your time. That you’re not real because you haven’t hit that magic validation button, publication. Even knowing as we do that stories and words nourish the world. That writers are executed in some places for the power they wield. So, I asked on fb, ‘What would you like to hear me talk about in my blog?’ Two replied (good in a writer’s world with a staggering level of rejection). One, whatever works for me. The other, I like it when you talk about what matters to you. I like it when you describe the colors of the sky, which was perfect. I care we see our common humanity. The trolls and nasties are out there, and so are beauty and compassion. I love what Doris Lessing says about existence and forgetting. Deep down love it – ”No one knows what has existed and has vanished beyond recovery, evidence for the number of times Man has understood and has forgotten again that his mind and flesh and life and movements are made of star stuff, sun stuff, planet stuff; …” – because I see life-lines as spirals. We spiral up (or down, whichever ‘toward wisdom’ means to you). Revisit our stuff. Get a chance to see things differently. Do *it* differently. And it spirals out. Each of us a microcosm of culture and humanity. I care we see ourselves empowered. That we’re inspired to show up, put our drop in the bucket to create a kinder, gentler world for all of us. Like my friend Sweetie Berry says, “….To see small droplets of water <rain> repeatedly fall to make differences in all it touches…no single drop doing the work but incrementally changing the landscape and the garden. Small things matter…” Because I know our drops matter. That it’s the We together that causes incremental change in landscapes, just like the rain. I care about the realities of the human world. Because I am not neutral. They push me to speak up unequivocally strong sometimes. As with the recent NC bill, because I love my friends. Wept with joy when equal marriage became law of the land. Love is love, the way I see it. And I vehemently oppose everything in that bill, including the silencing of any voice who wishes to protest (yep, you/us, LGBT or not). And the only way I see to fight it is to support the peeps fighting it. Hate and discrimination are myopic, are not hurt by us stepping away. And I care, care, care we see our beautiful planet for the gift she is. How she shows us, gives us, COLOR we can hold in our hands. Every medicine for body and soul. That though it’s not May, yet, so I can’t declare Spring here to stay, daffodils & tulips crowd each other in Asheville and points up the east coast. Trees drip with flowers, the streets sport puddles of petals. The squirrels and ducks are making babies. In fact, so incredibly gorgeous, I can see nature simply doesn’t care. She’s sprung. While the snow falls in Colorado. And finally, for you Mary Anne Radmacher. Last night as I closed the blinds, the moon, not yet full, reflected twice, like twins in my window so brightly I couldn’t shut her out. I left the blinds open. Went outside to gaze up. Feel the breeze. I heard her say it’s okay I only caught a glimpse of the giant hawk flying low with something large in its talons, a murder of crows chasing it. Because it caused me to ask a man if he saw it so close over his head. Learn he lost his vision, is just now seeing again after multiple surgeries. After complete blackness. (imagine!) And that he’s from the Brazilian Amazon, where they live close to nature and animals, so it was natural his son rescued a baby crow on the edge of death, loved it to adulthood. The hawk brought me to a fellow human I would never have spoken to, otherwise. I have not been down to the bay in days. Have not sat in silence with nature, noticed things like the chinks of turquoise and a few clouds in the spaces between palm fronds. I must do that now. Tell me. What matters to you? Another small journey. Getting to Wise. A favorite: Palm trees. Absolutely fascinating when you really see their differences and how they flower. A secret: I’ve glimpsed the sky through oak and maple leaves. Now looking thru the spaces amongst palms. 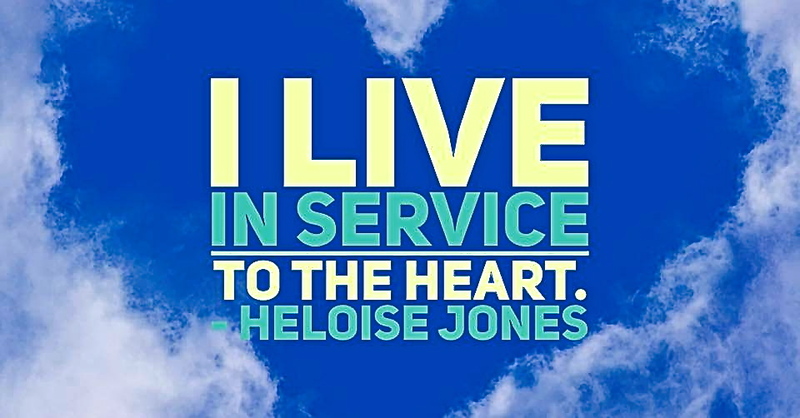 This entry was posted in life, nature, spirit, strong offers, writers, writing by Heloise Jones. Bookmark the permalink.